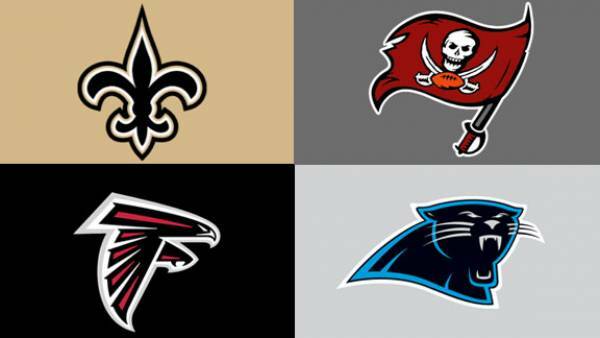 Hard Knocks pays off: All writers have the Bucs in a playoff spots, with 3 of 4 predicting they’ll take the division crown. Panthers Parity: Allen has the Panthers in a prime spot for a bounce-back with 12-4, with the other predictions have the Panthers not doing as well, falling as low as 6-10. 28-3 Hangover: The Falcons look to bounce back well after losing their offensive coordinator. 75% of the staff believes they will have double-digit wins. Not So Big Easy: Despite the shuffling of positions on the first three teams, all writers don’t see this year going that well for Drew Brees and the Saints — all finishing below .500. That wraps up the division breakdowns — we’ll move onto awards and playoffs next.